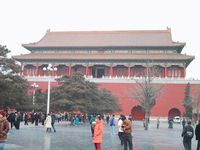 At the end of the Spring Festival we went to Tiananmen Square and the Forbidden Palace with Goa Xiansheng (Mr. Gao) and Gao Ke (his daughter Ke). 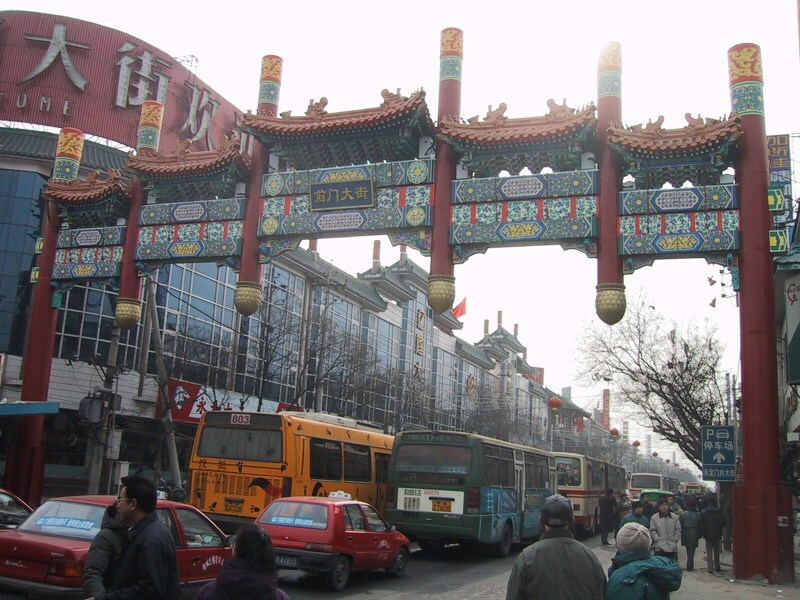 This gate stands a block or so away to the south of the first gate of Tiananmen Square. Looks old, doesn't it? 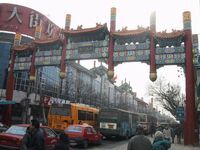 It's not - it was built in 2000. 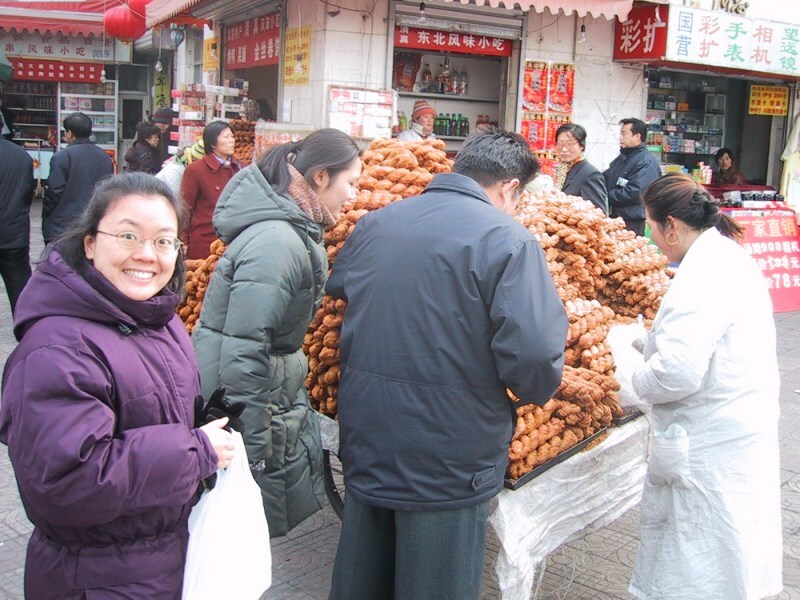 Gao Ke steered us to a street vendor with a huge stack of bread-like friend noodles on a cart. 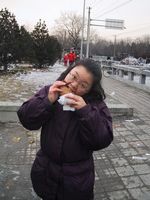 Nancy is excited to try the bread, which turned out to be nearly as hard as a pretzel and very tasty. 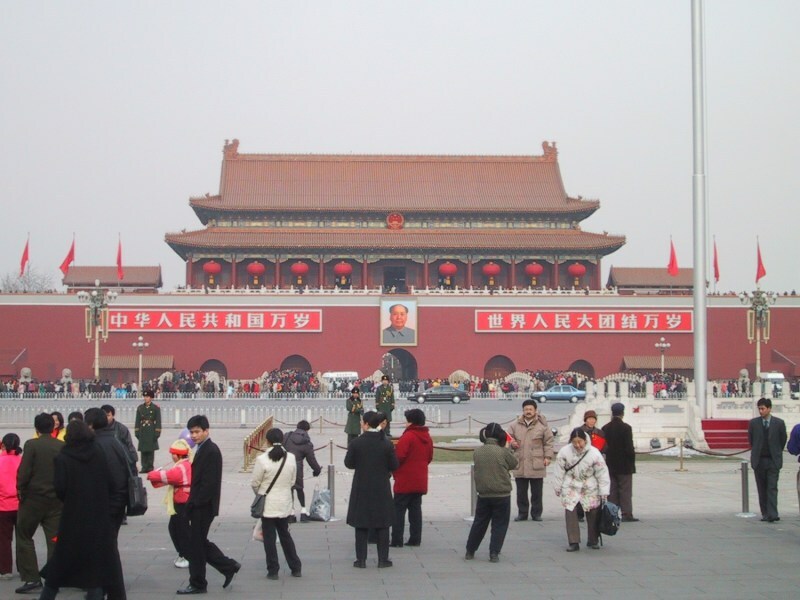 This is the first gate which stands at the southernmost part of Tiananmen Square. 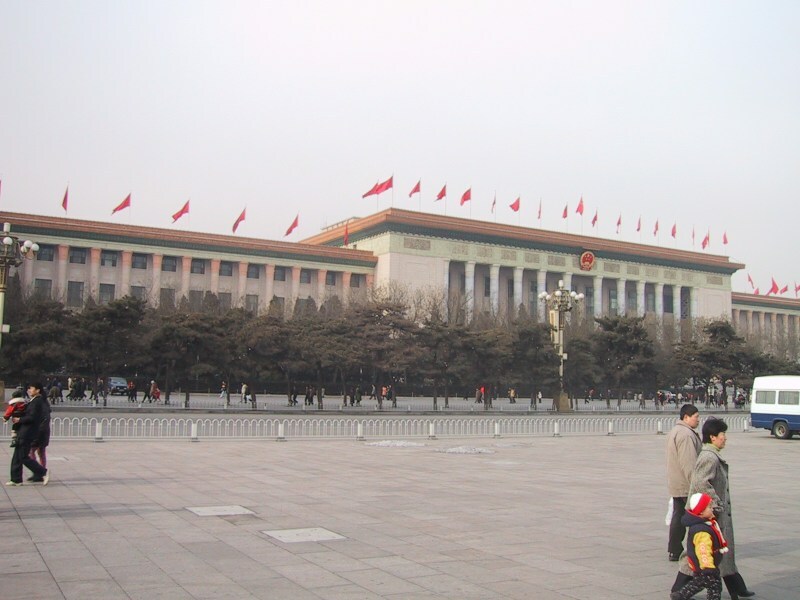 This is a view of the Chinese Parliament building from Tiananmen Square. 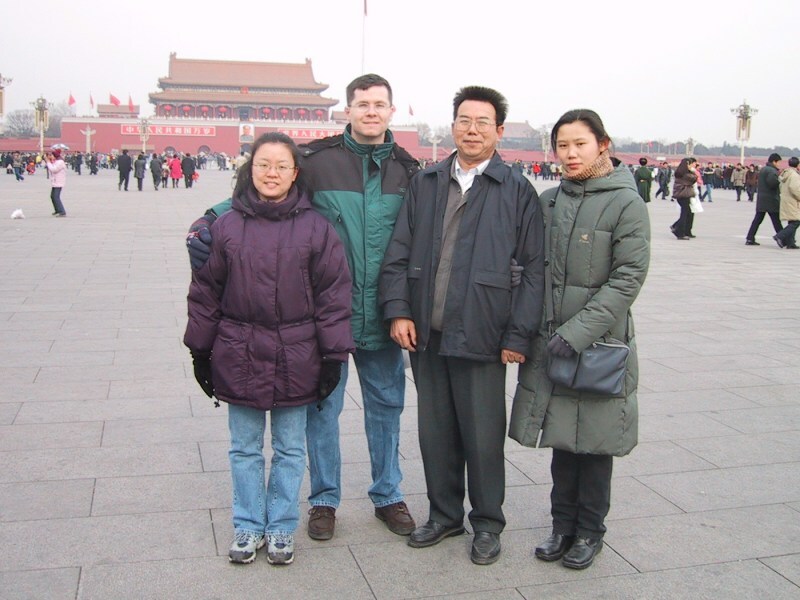 Here we all are - Nancy, Bryan, Gao Xiansheng, and Gao Ke. 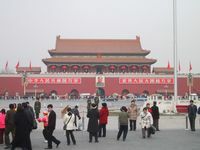 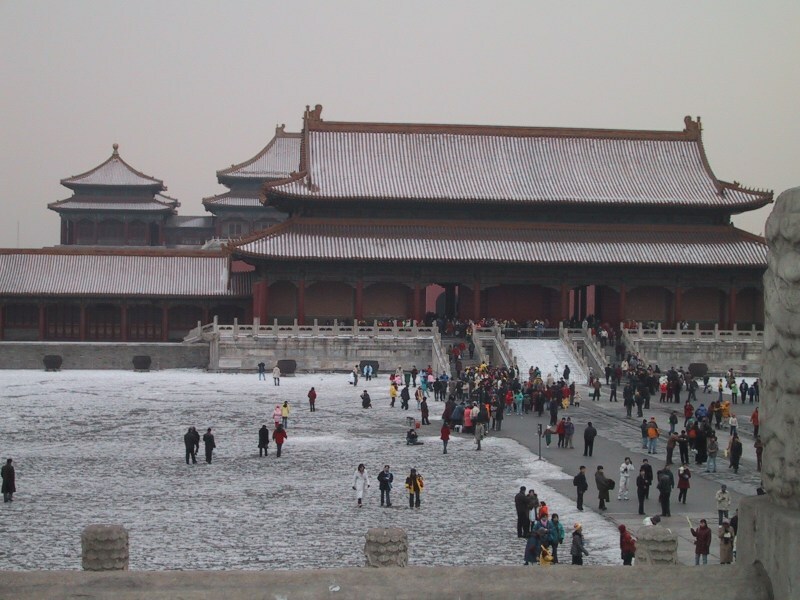 This is the second gate, as viewed from Tiananmen Square in the south. 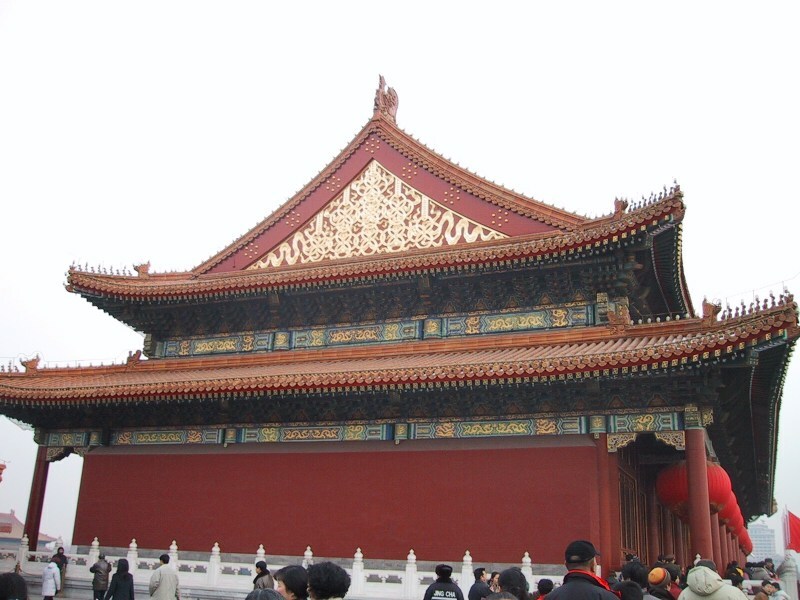 It stands at the entrance of the Forbidden City. 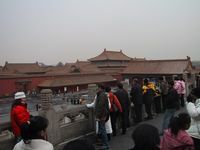 This is the building on top of the gate, from the balcony of the gate itself. 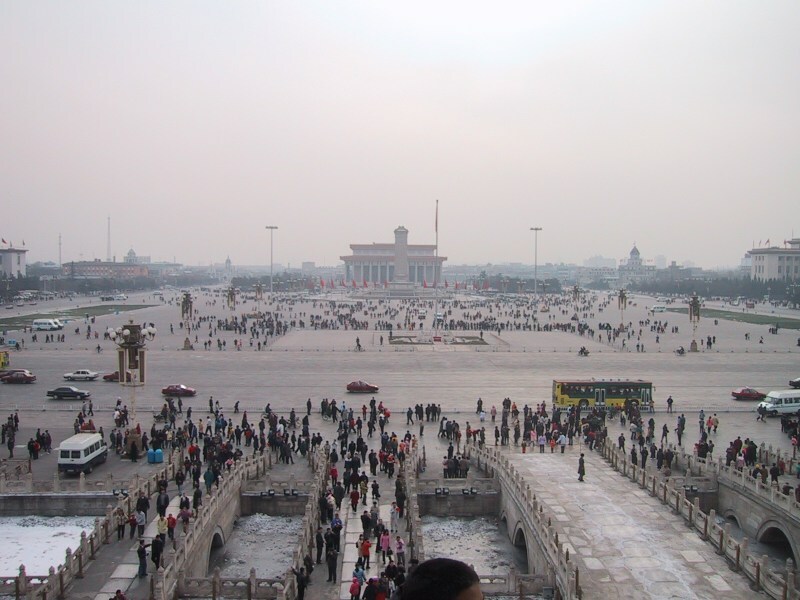 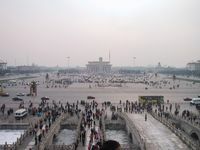 This is a view of Tiananmen Square from the aforementioned gate balcony. The third gate. 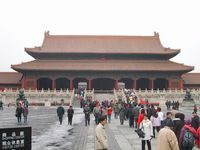 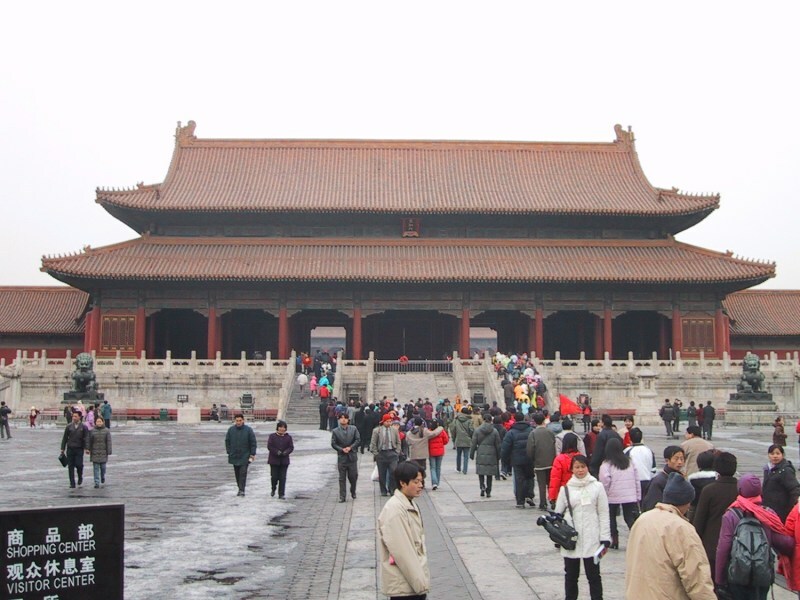 The trip through the Forbidden City is a walk directly north through many of these large gates and around the Emporer's buildings within. 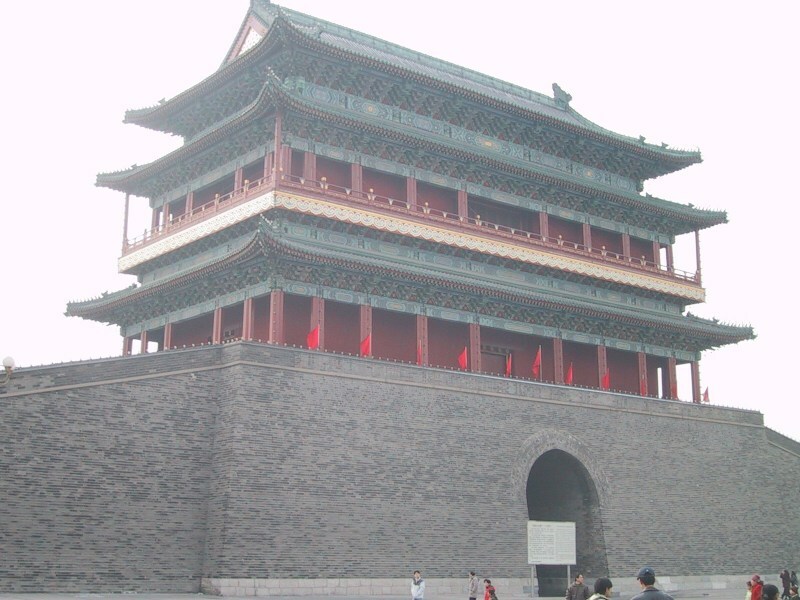 This is the first actual building inside the Forbidden City. 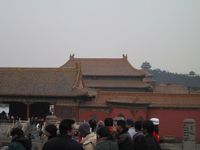 You pass 7 or 8 such buildings and nearly as many gates as you walk from the south to the north of the Forbidden City. 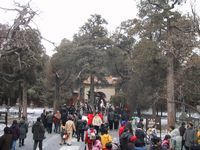 But we didn't photograph them all. 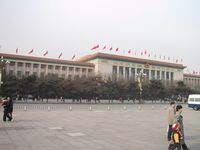 Another one of the Emporer's buildings. More stuff inside the Forbidden City. There is a park at the very north end of the Forbidden City which is actually very pretty. 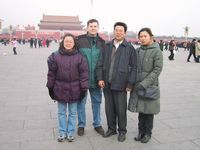 But we were tired of taking photos by this time so this is the only one we took of it. 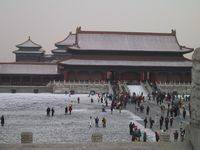 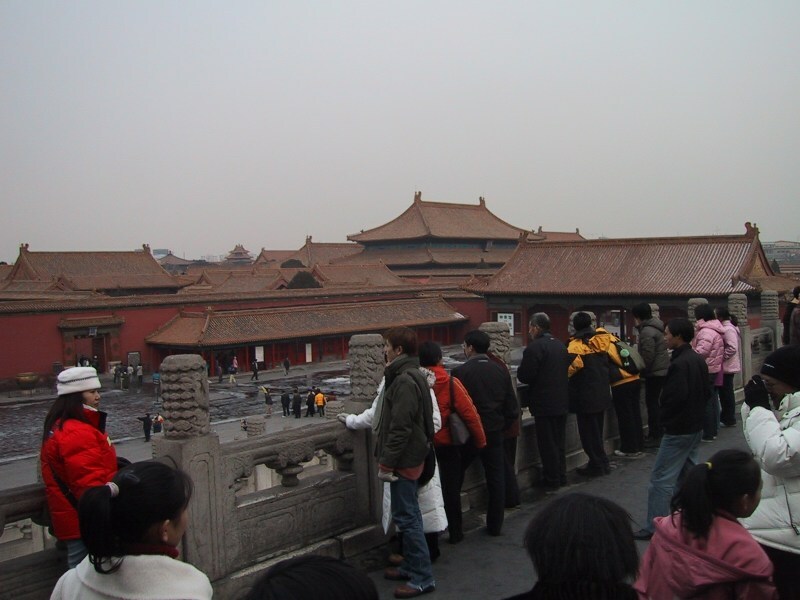 We'll go to the Forbidden City again in the summer and take lots more pictures. 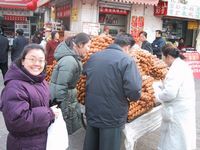 After exiting the Forbidden City at the north gate we made our way past the dozens of people who try to sell you souveniers to find a man selling roasted sweet potatoes in the street. 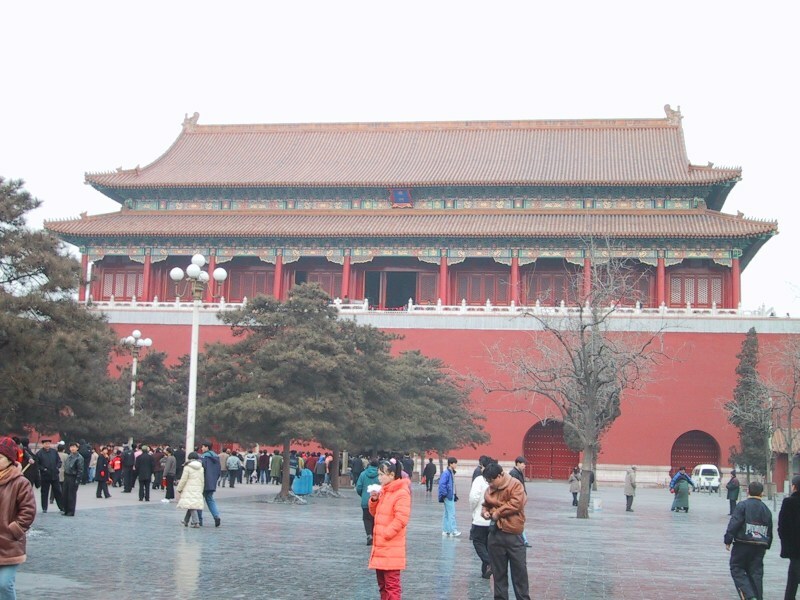 They were very, very good, and just the thing after a long walk through the Forbidden City. Right, Nan?